Add a Table Skirt to your Table Rental. *Includes Skirt Only. 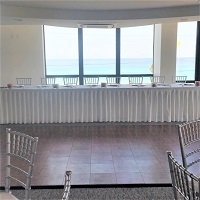 Additional Décor, including Table Linen pictured must be requested separately.